As the poster on the window of a corner store reads, they had planned a tiny Fourth of July parade in Guinda, Wednesday. "The Tiniest." GUINDA, Calif. (KGO) -- As the poster on the window of a corner store reads, they had planned a tiny Fourth of July parade in Guinda, Wednesday. "The Tiniest." What they got, instead, turned out larger and certainly more urgent. "Now we have a different kind of parade. Fire Engines and fire resources," said store owner Wyatt Cline. It manifested along the northern-most, advancing line of the County Fire, today, in an impressive show of force and aerial skills. A platoon of helicopters attacked new hotspots in smoke so thick that it challenged the margins of acceptable visibility. From a mile away, there were times when they disappeared into the billowing blackness. 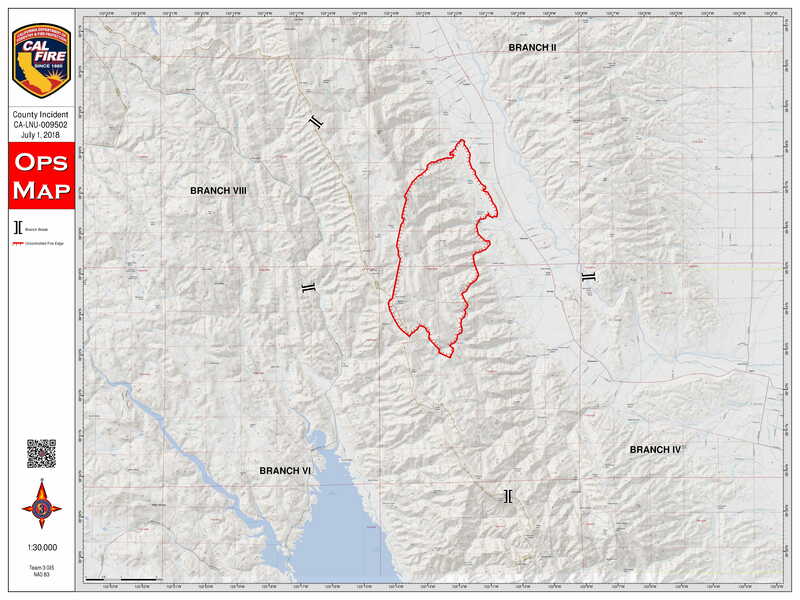 The fire burning near Lake Berryessa has grown to 82,700 acres in the rough, mountainous terrain of Yolo and Lake counties and is now threatening over 1,000 structures. So far, the fire is 25 percent contained. With the blaze burning in steep, almost inaccessible terrain, Cal Fire took advantage of a relative break in the weather to push back flames that threatened the valley floor and this small, closely-knit town. Few people, if any, evacuated. "Unless the engine parked on our property says, 'Flame, get out,' I am going to stay," said resident Susan Muller. "I have never seen a fire like this," added Anita Jayne-Eubank. Or a battle like it. Chopper after chopper dipping into Cache Creek for water, then returning to the flames, making drops, and all in a thick blanket of smoke. In the almost 150 years of Guinda, it's a July 4 unlike any other - one they hope to never see the likes of, again.